I just purchased my tickets to see the new Hellboy reboot starring David Harbour and direct by Neil Marshall (Dog Soldiers, The Descent). While I am a big fan of Hellboy, my introduction to him came through the 2004 film. I wish I had discovered the comic when it debuted in the 1990s, as I was obsessed with the X-Files and H.P. Lovecraft at that time and probably would have loved it. It’s no secret that expectations are not particularly high for the reboot – even Hellboy creator Mike Mignola seems aware of that. The first trailer did not go over well, and the second, while better, did not wash away all the concerns. The film’s tracking is reportedly not looking so good. If Mignola and the producers are looking to create a new cinematic universe, I don’t see the wisdom of using this film to adapt two very late-era Hellboy stories, The Wild Hunt and The Storm and the Fury. In the comics, both of these stories take place in the early stages of what is essentially the Apocalypse; Hellboy actually dies at the end of The Storm and the Fury, leading him into a Dante-esque journey into Hell itself. This story would have made more sense if this was the final sequel to the 2004 film by Guillermo Del Toro (although the odd subplot of Hellboy’s children from Hellboy II would have had to be dealt with). Of course, superhero films often have world-ending stakes, so it’s possible – even likely – the film’s conclusion won’t go in the same direction as the comics. Nonetheless, it’s not the direction I would have taken with the reboot, regardless of whether it was intended to be a standalone film or the start of a franchise. Not that anyone cares about how I would have done it, of course, but here’s my pitch. 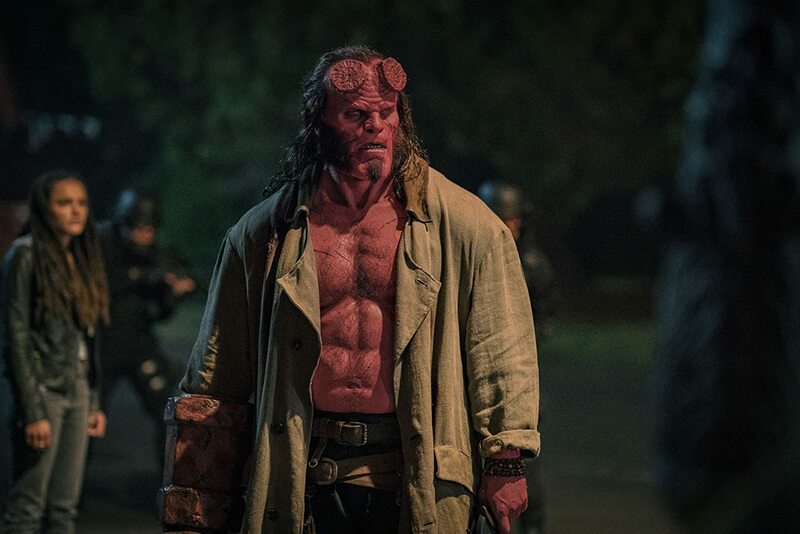 I’d keep Harbour as Hellboy; he’s a good choice, and could anchor a franchise for years. But I would have made the film a period piece – maybe the 1960s or ’70s – and made the stakes fairly low (i.e., not the apocalypse). I would have sidestepped the whole “Hellboy’s destiny” storyline, which took precedence in the comics fairly early on. The “chosen one” aspect of Hellboy never interested me very much; my favorite HB stories are the ones where he basically takes the place of some figure from a folk tale. That’s why my take would have been somewhat like Mad Max: Fury Road or the Fistful of Dollars trilogy. The idea would be something like this: a wandering Hellboy comes to some small town that’s having a supernatural problem, gets involved in a mystery that ends up involving a monster or supernatural threat of some sort. 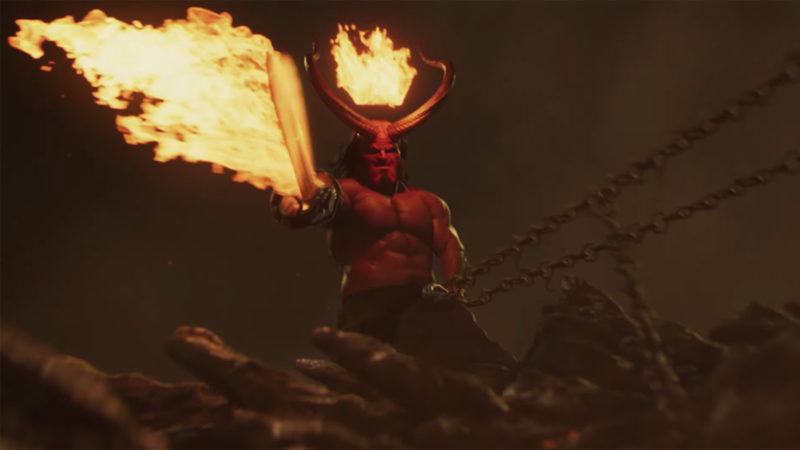 But while Hellboy is present and gets some action sequences, the story is as much about the other characters as it is Hellboy. And again, fairly low stakes, a low, almost indie film budget (and look), not too much CGI — largely a character piece / mystery. And I’d give it to someone like Travis Knight to direct. Finally, I would have given Hellboy a different characterization. Perlman’s Hellboy was a bit goofy and somewhat self-absorbed; Harbour’s take appears to be sarcastic and angry. Neither represents the Hellboy of the comics, who is thoughtful, a bit world-weary, and whose sense of humor is mostly of the “dad” type. Anyway, that would have been my approach. If the film is cheap enough, it doesn’t have to be a massive hit, and if it’s successful enough you can build from there.